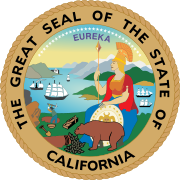 Special elections to the California State Assembly are called by the Governor of California when a vacancy arises within the State Assembly. Most special elections are conducted in two rounds. The first is an open primary and the candidate with the most votes must have a majority of the votes plus one to win the seat. If no candidate wins a majority a second round is held with the two top candidates regardless of party. Recall elections, the process by which voters petition for the removal of an elected official, are also included. The dates listed only include the open primary round if no second round was held. When applicable, the candidate who succeeded the recalled state assemblymember is listed. If the recall election was not successful the winner is listed as "none". This page was last edited on 14 July 2018, at 07:49 (UTC).